Fifth in a Five-Part Series. The combination of anti-immigrant attitudes and policies, the dismantling of programs for English Language Learners, and the demands of No Child Left Behind into the context of Sonoma County’s demographics, where 42 percent of students are identified as Latino, and 22 percent are in the process of learning English6 the negative and often stereotypical stigma white families attach to Hispanic students was inevitable. 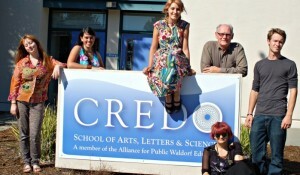 Of course, being sponsored by the Center for Economic Development (CED), the Sonoma County Economic Development Board (EDB), and the Sonoma County Workforce Investment Board, it is no wonder that such language would carry a disconcerting tone, suggesting that the fiscal requirements outweigh the economic benefits of investing in ELL education. The Profile, unfortunately, is not alone in this belief. 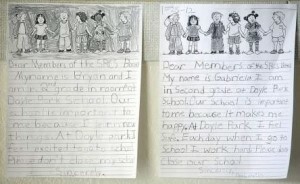 Letters from Doyle Park students asking the school board not to close their school. This mandate has caused extreme controversy within the schools, who claim that they did not have input. The mandate also comes after the controversial closure of Doyle Park Elementary, which was replaced by the French Charter school that initially co-located with it. The closure was said to have “pitted two communities against each other, Doyle Park families”—a majority of whom were Latino— and “the families of children who had signed up for the French charter school”—a majority of whom was white.24 The segregation caused by the establishment of such charter schools, which are exempt from most provisions of the Education Code25, appears to be all for naught, as there is currently no substantial evidence that charter schools are better than public schools. However, for some reason, the trend of charter school enrollment continues. Sonoma County is “a hotbed for charter schools. In the Bay area, only Santa Clara and Alameda counties have more.”26 Clearly, charter schools are not going away, and the real issue of segregation that seems inherent in them won’t either.27 By 2020, those who identify as Hispanic will comprise 32 percent of Sonoma County’s population1. 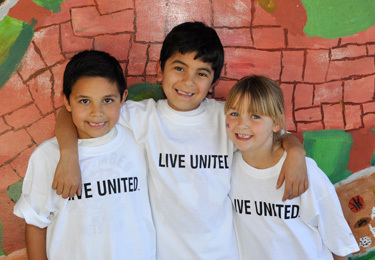 Therefore, if we as community members, educators and policy-makers are to provide equitable and fair education that supports a growing population of Hispanic students—both culturally and academically, including through ELL aid—more regulation must be installed into existing and newly established charters. In addition, we must address the racist myths surrounding Hispanic folks, immigration, and English Language Learners if we are to truly reflect the ideals envisioned by those who fought against segregation so many decades ago. We must dig deep to ask ourselves why we educate and what our educational institutions mean for our future. 20. “Welcome to The Daily CAFE.” TheDailyCafe.com. N.p., n.d. Web. 1 June 2014. <http://www.thedailycafe.com>. 22. Ravitch, Diane. The death and life of the great American school system: how testing and choice are undermining education. New York: Basic Books, 2010. Print. 24. Cosentino de Cohen, et al. , Clemencia. “Putting English Language Learners on the Educational Map.” Education In Focus 1.1 (2010): 1-9. Urban Policy Brief. Web. 1 June 2014. 25. Benefield, Kerry. ” Dispute over new rules for Santa Rosa charter schools.” Press Democrat [Santa Rosa] 5 Feb. 2014: 1-3. Press Democrat. Web. 1 June 2014. 26. Espinoza, Martin. 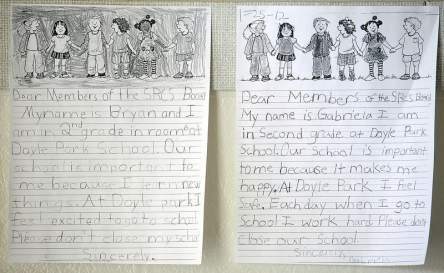 “Closure of Doyle Park school resonates in Santa Rosa school board race.” Watch Sonoma County 28 Oct. 2012: 1. Watch Sonoma County. Web. 1 June 2014. 27. “California Commission on Teacher Credentialing.” California Commission on Teacher Credentialing. N.p., n.d. Web. 28 June 2014. <http://www.ctc.ca.gov/employers/charter-schools.html>.